« How to outfit your new Pyranha kayak! Several years ago, I was sitting with friends on a rental cabin porch in the Appalachians of Tennessee during one of our annual kayaking trips. I started boating in California, and I’d been suggesting we head out west for some expedition trips on big desert rivers. I was one of the last applicants to join the old Grand Canyon waiting list, which meant I’d carried over extra chances into the new lottery system. I’d failed a few times to win a peak-season trip, but now I suggested we instead use my assisted odds to pick an exact date for a winter trip that we could all agree on. Several of us were teachers, so if we pinpointed the dates just right, we could slip a long trip into our Christmas breaks. The next February, I entered the lottery and we won a launch date for the second day of winter about 20 months ahead. Then I went one step further, suggesting we do what I now call a fresh-eyes descent, meaning none of us in the group had ever boated the river before. For a number of reasons, I didn’t want to invite any crusty all-knowing canyon veterans along who would lead us down. I’d met too many already, with their do-this, don’t-do-that, this-is-best, that’s-overrated attitudes. Instead, for our first Grand Canyon trip, we’d get our own exploratory expedition—sort of like John Wesley Powell. But soon I had a major realization. Like Powell, I’d said. Here was a major historical figure I thought of as a hero of mine. 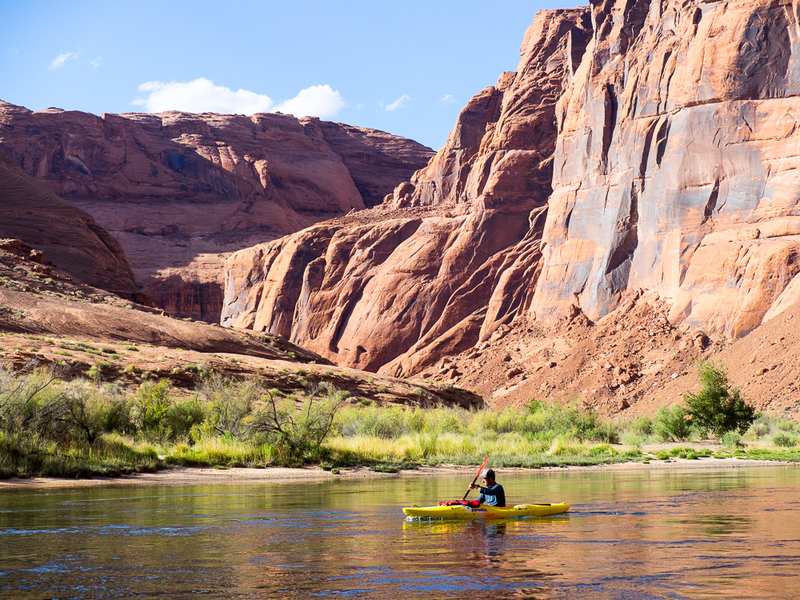 We California raft guides and kayakers often talked about Powell with the reverence usually reserved for saints or whoever started In-N-Out Burger. But I knew almost nothing beyond the basics. Powell’s team boated the Grand Canyon first, in 1869, and the crews rowed backward—a few details all reported on a postage stamp! So, I started reading. Book after book. Journals, histories, opinions, trip reports. Powell, Dellenbaugh, Stegner, Stanton, Ghiglieri, Dolnick, Zwinger, Belknap, Martin, Fedarko. My head was swimming! There were two expeditions? Powell embellished or maybe lied? The three crewmen who left may have been killed by Mormons who blamed local Shivwits tribesmen? I decided a single Grand trip would not suffice. Like many paddlers, I became infatuated with one of the greatest adventure stories in U.S. history. I wanted to follow Powell’s entire expedition route, which grew in reverence with every new fact I learned. Each controversy only deepened the “fresh eyes” mystery. I wanted to be a Powell Route Pilgrim. So that’s what I did, but not as I first had hoped. I briefly considered taking a semester off from adjunct teaching and doing the entire route in one go. But I dropped that notion due to financial realities. Then I tried to go in segments, in order, but I couldn’t get the permits to line up with my time off. Instead, I settled on doing the segments, over several years, in whatever order was possible. And I did them all as fresh eyes descents, using a mix of watercraft, including kayak, raft, paddleboard, and packraft. One day, I found myself only a few months away from doing the first segment and still unsure of what boats to use. 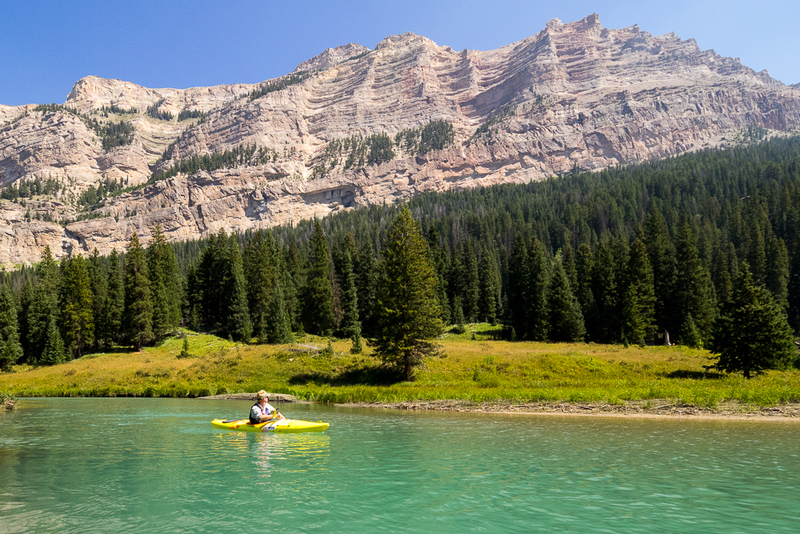 With a friend, I’d start from Green River, Wyoming with ten miles of river followed by 85 across Flaming Gorge Reservoir. After the dam was 20 miles of class II whitewater and then even more flatwater. The following section through class III Lodore Canyon would have to wait until I won their lottery. 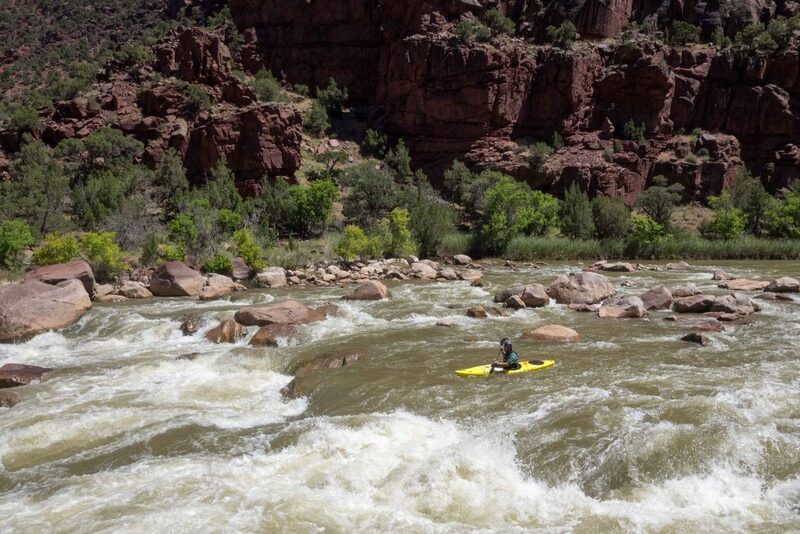 Further down the route, I’d find more class II-III in Deso, more flatwater in the Uinta Basin and Canyonlands, some class III-IV whitewater in Cataract, more flatwater on Lake Powell, plenty of class III-IV whitewater in the Grand Canyon, and—did I mention the flatwater? !—a 50-mile finish on Lake Mead. Then, my buddy, a Pyranha team paddler, mentioned a new boat option to me. The recently released Pyranha Fusion was a hybrid kayak with a storage hatch and plenty of space. I could drop the skeg and muscle-motor across the long flatwater sections. I could snap on a skirt and buckle my helmet for fun whitewater with a fast longboat profile. So, we picked up a pair of them and never looked back. 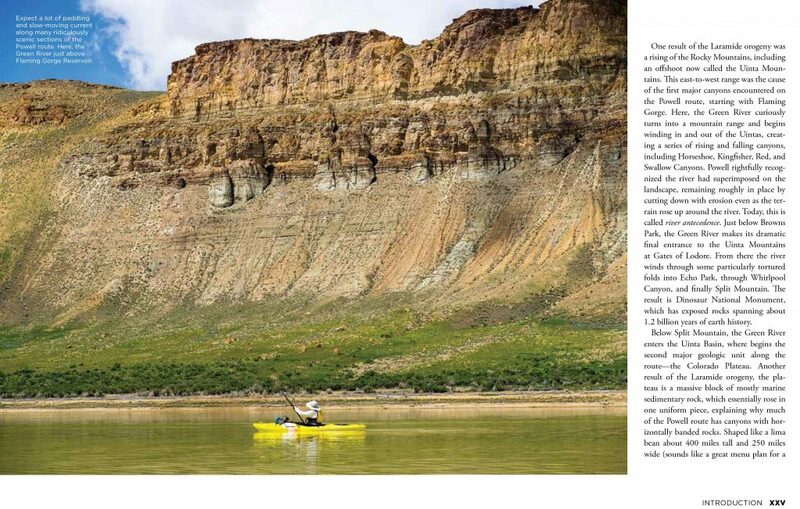 Since that time, the boats have been with me and my friends for the entire project that became my recently published book, Paddling the John Wesley Powell Route. Sometimes we did kayak self-support while other times we had them along on larger trips. Sometimes I paddled them and sometimes my friends took them down, as we rotated on the oars of a raft that became a crucial support craft. (I mean I love kayaking, but I also like a cooler with fresh food and cold beer on a multi-week trip in the desert, okay.) The Fusions have touched water in every segment of the 1600-mile route, plus gone with me down many favorite runs, both flatwater and whitewater across a dozen states and counting. We even took them to our annual Appalachian weekend, running them on favorites like the Ocoee and Chattooga. After nearly five years running a medium Fusion, I am happy to report that if you’re looking for a hybrid boat for kayak touring that can handle both flatwater and whitewater (a boat that has space for your history books and some campsite beers), the Fusion is a perfect choice. 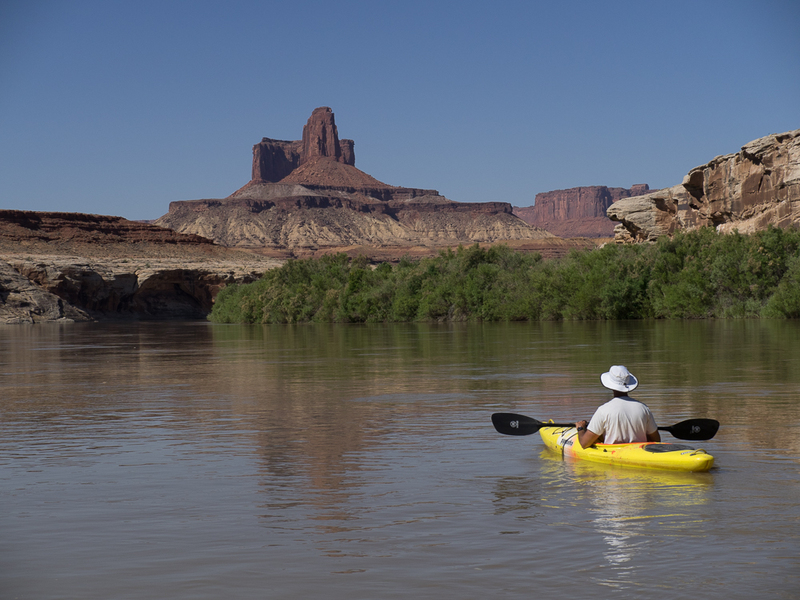 And if you’re going down the Powell route—a place with rugged canyons full of fascinating history, plus the occasional big-water rapid tucked between long sections of flatwater through unbelievable desert scenery—you’re going to need a boat that can hold books AND beer. 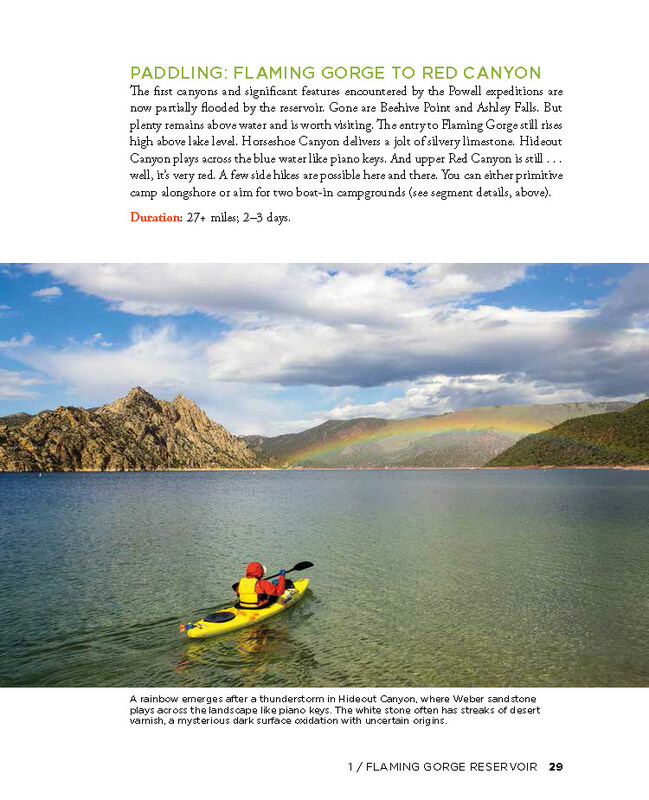 Mike Bezemek is the author and photographer of books, blogs, and articles for a variety of publications, including Paddling the John Wesley Powell Route and Paddling the Ozarks for Falcon. He paddles the Burn, Machno, Jed, and Fusion.